Arrived last month and now completely rolled out, you can choose to pay securely by card, or stick with the cash when ubiCabbing nowadays. Never dash to the cashpoint again. (Sung in a power ballad style) You can choose to pay by caaaaaard! Don’t call companies to find out where your cab is, watch them driving to you in the app. See their faces, rate their moustaches, you can do it all. Do you still text people to say you’ve got in safe? How old school are you? 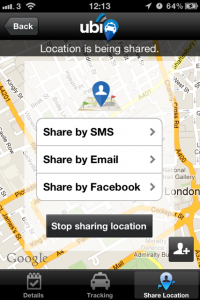 Share your location with whoever you like as you travel, via Facebook, email or SMS, with just a couple of app taps. You can even switch this on when you’re not in a ubiCab, because we love you this much. No more mates watching the pub door waiting for you to pitch up. Keep an eye out for ubiCredit, for our voucher codes have arrived. 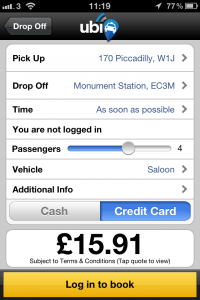 Fancy a discount cab, it could be yours if you grab a code and input it. Though yet to make his debut in the app, Grappa the Rabbit has garnered a cult following in the office. 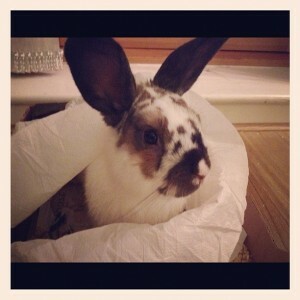 Features involving a figure-of-eight running bunny expected soon. 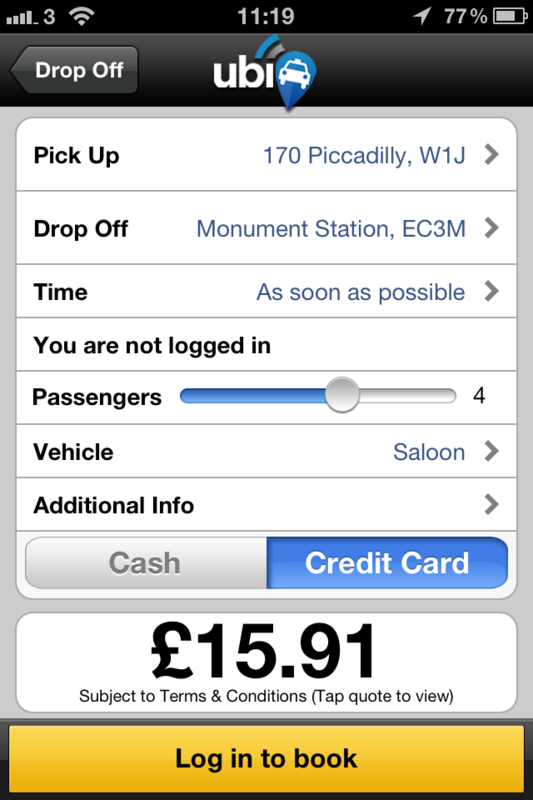 If there’s a new feature you’d like to see added soon, let us ubiCabbers know about it and you could win…the chance to see a feature you suggested implemented by the tech team of a minicab booking app. What a prize, what a stunning prize.